Service Times Locations New Here? Join us Easter weekend to experience the power of the resurrection as we celebrate at Pinelake. Invite your friends and join us for one of our multiple services filled with meaningful worship, music and a message that will bring hope and direction to your life. Prepare your heart for Easter. Our auditoriums will be open all day to walk through a meaningful prayer, reflection, and communion experience. Feel free to come and go at your convenience. Make it a great Easter and join us for one of our multiple services across five campuses. All campuses will have preschool ministry available for birth through kindergarten. At our Easter services, we encourage families to worship together. For families with younger ones, we have preschool ministry available for children from birth to kindergarten. Plan to arrive a few minutes early to check in your child. First time here? For your convenience, you may preregister your child by clicking the link below. You can help make Easter a great experience for those coming to Pinelake for the first time. 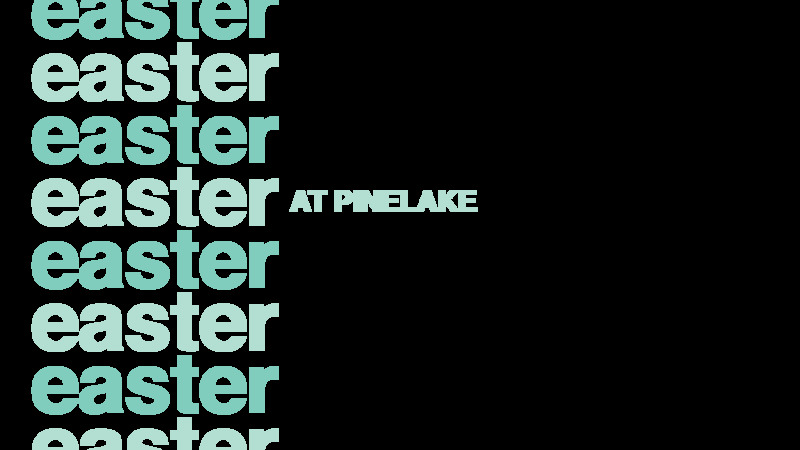 Our Easter services will reflect a pretty typical weekend at Pinelake. The service includes dynamic music, prayer, and teaching that is relevant and applicable to your life. When you drive up, parking attendees and greeters will help you find a parking spot. Once inside the building, our team members will be ready to show you where to take your children and where to go for the service. Our environment is casual and people wear everything from suits to flip-flops. So come dressed in whatever makes you comfortable. No matter where you are in your faith journey, we welcome you. Life can feel like a mystery, full of sticky choices and circumstances. But Here's the Deal... God‘s guidance helps take the guesswork out of life. He tells us, “If you do this, then this WILL happen.” Beginning Easter and over the following five weeks, join the conversation and discover truths to live by.